I love the word frock! I have to say the more I work with vintage patterns the more I like them. There's such a simplicity in the style. This project is actually a custom order for a friend who's getting married in June, not her wedding dress, but it would definitely be a great pattern for that. 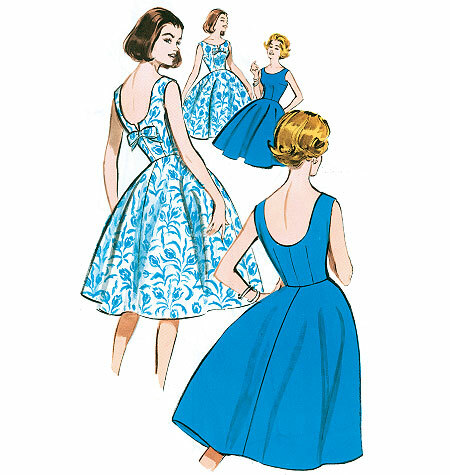 If you're looking for a nice vintage pattern check out Butterick. Don't buy it online! Hancock & Joann's have these patterns for a $1.99 on a regular basis.